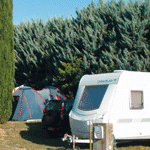 Have you spent your stay in a tent, caravan or motorhome at Campsite Ginasservis? We are keen on offering the best welcome to our guests. We warmly invite you to tell us what you think about the pitches on our campsite in order to offer even better facilities. To tell us what you think, please use your name and surname of your booking (all reviews are real). Please be polite and constructive, uncalled for meanings will not be published.